He has arrived!! 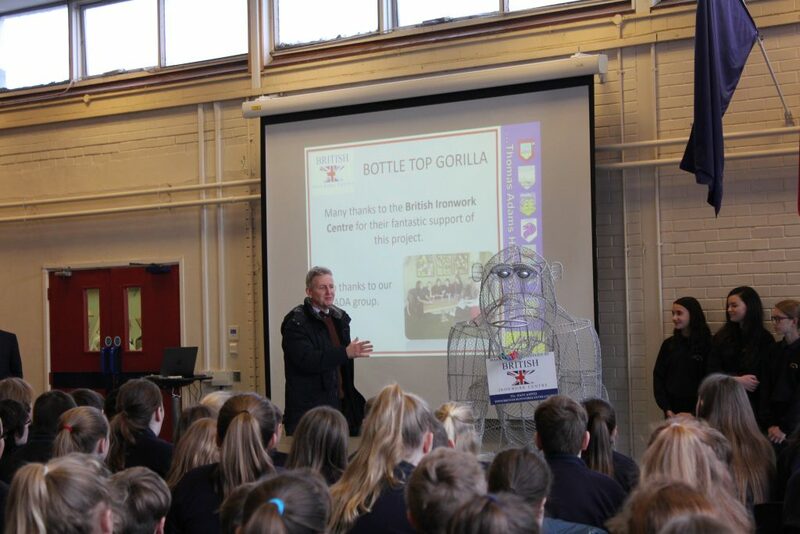 Our bottletop collecting Gorilla has now arrived at school. Thanks to The British Ironwork Centre in Oswestry for making him for us. Please donate your bottle tops and lets see if we can fill him!! The students of the ADA group (Adams Aware group) put forward a proposal, for The British Ironwork Centre to create this life-size metal mesh gorilla. The students visited many months ago with a dragons den style performance where they pitched their ideas to thechairman, Clive Knowles and planned to collect 100,000 bottle tops!! 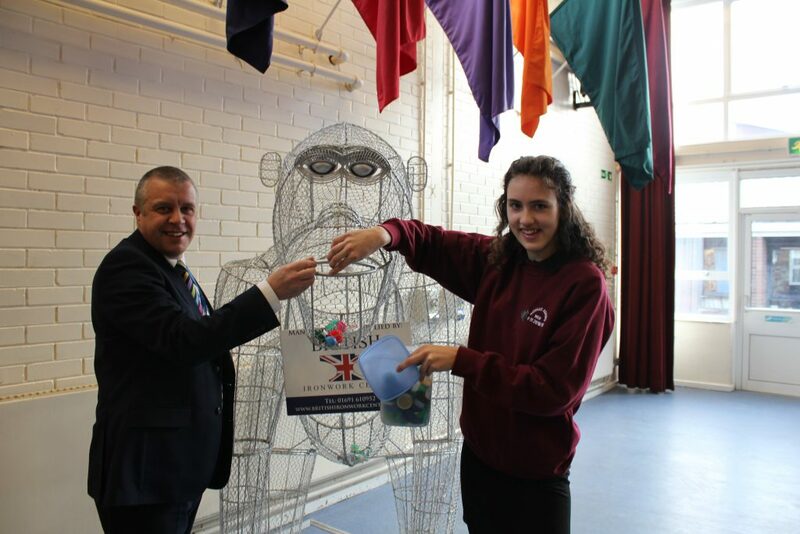 The gorilla has been specifically designed to hold thousands of bottle tops as a bid to raise better awareness about the importance of recycling and protecting our environment. We specifically chose to create this animal as inspired by the majestic Mountain Gorilla, one of our world’s most endangered species. We hope he will encourage the students to push hard to recycle not only bottle tops, but as much household waste as possible. The wire sculpture, although now appears empty, is set to become a gorilla of all sorts of colours. How many bottle tops do you think will fit inside his frame?